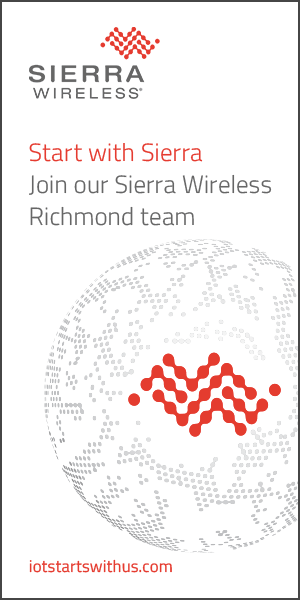 Richmond, BC, August 13, 2018--(T-Net)--Sierra Wireless, Inc. (NASDAQ: SWIR) (TSX: SW) today reported results for its second quarter ending June 30, 2018. All results are reported in U.S. dollars and are prepared in accordance with United States generally accepted accounting principles (GAAP), except as otherwise indicated below. "In the second quarter of 2018, we delivered solid revenue and adjusted EBITDA growth on a year-over-year and sequential basis," said Kent Thexton, Interim CEO. "Our two fastest growing and highest margin businesses - namely Enterprise Solutions and IoT Services - represented 25% of total revenue in Q2 and we continued to strengthen our position as a leader in device-to-cloud IoT solutions." Revenue for the second quarter of 2018 was $201.9 million, an increase of 16.4%, compared to $173.4 million in the second quarter of 2017. Product revenue was $178.8 million, up 9.4% year-over-year, and Services and Other revenue was $23.1 million, up 130.4% compared to the second quarter of 2017. Quarterly revenue for the three business segments was as follows: (i) Revenue from OEM Solutions was $150.9 million in the second quarter of 2018, up 4.5% compared to $144.4 million in the second quarter of 2017; (ii) Revenue from Enterprise Solutions was $28.4 million in the second quarter of 2018, up 31.1% compared to $21.7 million in the second quarter of 2017; and (iii) Revenue from IoT Services was $22.6 million in the second quarter of 2018, up 209.6%, compared to $7.3 million in the second quarter of 2017 driven by the contribution from Numerex and organic subscriber growth. Gross margin was $69.3 million, or 34.3% of revenue, in the second quarter of 2018 compared to $59.6 million, or 34.4% of revenue, in the second quarter of 2017. Operating expenses were $74.4 million and loss from operations was $5.1 million in the second quarter of 2018 compared to operating expenses of $55.6 million and earnings from operations of $4.0 million in the second quarter of 2017. Net loss was $11.4 million, or $0.32 per diluted share, in the second quarter of 2018 compared to net earnings of $6.8 million, or $0.21 per diluted share, in the second quarter of 2017. Gross margin was 34.4% in the second quarter of 2018 compared to 34.5% in the second quarter of 2017. Operating expenses were $59.0 million and earnings from operations were $10.4 million in the second quarter of 2018 compared to operating expenses of $48.3 million and earnings from operations of $11.4 million in the second quarter of 2017. Net earnings were $9.7 million, or $0.27 per diluted share, in the second quarter of 2018 compared to net earnings of $9.8 million, or $0.30 per diluted share, in the second quarter of 2017. Adjusted earnings before interest, taxes, depreciation and amortization ("Adjusted EBITDA") were $15.6 million in the second quarter of 2018 compared to $14.9 million in the second quarter of 2017. Cash and cash equivalents at the end of the second quarter of 2018 were $73.4 million, representing an increase of $2.8 million, compared to the end of the first quarter of 2018. The increase in cash was primarily due to cash flows from operating activities partially offset by higher capital expenditures. We adopted the new accounting standard for revenue recognition (ASC 606) effective January 1, 2018. Our second quarter 2018 financial results reflect the adoption of this new standard and prior periods have been adjusted accordingly. For the third quarter of 2018, we expect revenue to be in the range of $198 million to $207 million and non-GAAP net earnings per share to be in the range of $0.22 to $0.30. Sierra Wireless today announced that it has received approval from the Toronto Stock Exchange for a Normal Course Issuer Bid ("NCIB"). Under the NCIB, Sierra Wireless may purchase for cancellation up to approximately 3.58 million of its common shares or 10.0% of the public float. The NCIB will commence on August 8, 2018 and will terminate on the earlier of: (i) August 7, 2019, (ii) the date Sierra Wireless completes its purchases pursuant to the notice of intention filed with the TSX, or (iii) the date of notice by Sierra Wireless of termination of the NCIB. We disclose non-GAAP financial measures as we believe they provide useful information on actual operating performance and assist in comparisons from one period to another. Readers are cautioned that non-GAAP financial measures do not have any standardized meaning prescribed by U.S. GAAP and therefore may not be comparable to similar measures presented by other companies. Non-GAAP net earnings (loss) from operations excludes the impact of stock-based compensation expense and related social taxes, acquisition-related amortization, acquisition-related and integration costs, restructuring costs, impairment and certain other nonrecurring costs or recoveries. In addition to the above, Non-GAAP net earnings (loss) and non-GAAP net earnings (loss) per share exclude the impact of foreign exchange gains or losses on translation of certain balance sheet accounts, unrealized foreign exchange gains or losses on forward contracts and certain tax adjustments. (1) Three and six months ended June 30, 2017 have been adjusted to reflect the adoption of ASC 606 - Revenue from Contracts with Customers. Certain statements and information in this press release are not based on historical facts and constitute forward-looking statements or forward-looking information within the meaning of the U.S. Private Securities Litigation Reform Act of 1995 and Canadian securities laws ("forward-looking statements") including statements and information relating to our financial guidance for the third quarter of 2018 and our fiscal year 2018, our business outlook for the short and longer term, statements regarding our strategy, plans and future operating performance; the Company's liquidity and capital resources; the Company's financial and operating objectives and strategies to achieve them; general economic conditions; expectations regarding the acquisition of Numerex; estimates of our expenses, future revenues, non-GAAP earnings per share and capital requirements; our expectations regarding the legal proceedings we are involved in; statements with respect to the Company's estimated working capital; expectations with respect to the adoption of IoT solutions; expectations regarding product and price competition from other wireless device manufacturers and solution providers; and our ability to implement effective control procedures. Forward-looking statements are provided to help you understand our views of our short and long term plans, expectations and prospects. We caution you that forward-looking statements may not be appropriate for other purposes. We do not intend to update or revise our forward-looking statements unless we are required to do so by securities laws. Typically include words and phrases about the future such as "outlook", "will", "may", "estimates", "intends", "believes", "plans", "anticipates" and "expects".